President Trump in a tweet on Tuesday warned Honduras, Guatemala and El Salvador that he intends to withhold funds if the "caravan" of Honduran migrants reaches the U.S.-Mexico border. Trump earlier in the day had threatened to cut off aid for Honduras over the so-called caravan. "We have today informed the countries of Honduras, Guatemala and El Salvador that if they allow their citizens, or others, to journey through their borders and up to the United States, with the intention of entering our country illegally, all payments made to them will STOP (END)!" Trump tweeted on Tuesday evening. "Anybody entering the United States illegally will be arrested and detained, prior to being sent back to their country!" he added in another post. The U.S. in fiscal year 2017 gave around $248 million in aid to Guatemala, $175 million to Honduras, and $115 million to El Salvador. Trump's tweets are a response to reports that there is a migrant caravan of more than 1,600 people moving north from Honduras, heading toward Guatemala with the ultimate goal of reaching the U.S.-Mexico border. Many of the migrants say they are fleeing rampant poverty and violence in Honduras. "There's a misery and a violence that is overwhelming people," an organizer with the group, Dunia Montoya, told The Associated Press on Monday. "People no longer have faith in this country and they are fleeing." The caravan is currently making its way through Guatemala, NBC reported. 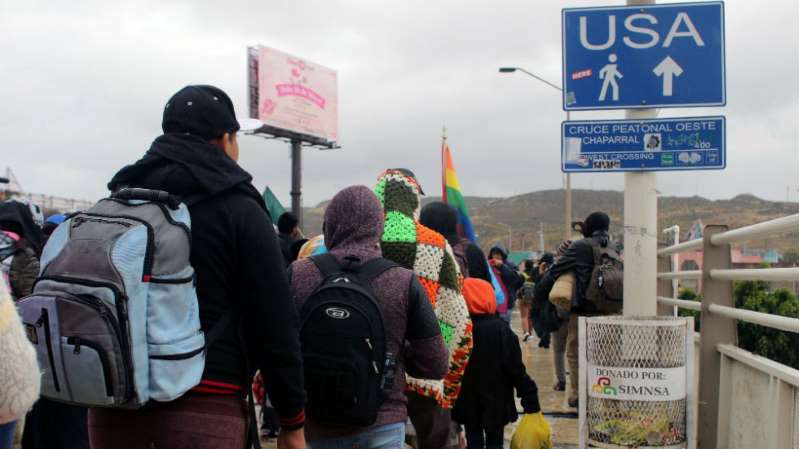 The Honduran Ministry of Foreign Affairs and International Cooperation has asked its citizens to stop participating, saying their lives are at risk, according to the news outlet.